I Love the fact that this young group of Hard Rockers sing about the Glory Of God. I'm 43 years old. And still love to rock out. Any parents who might be concered with this band and thier faith in God, Well lets just say they are as real as they come when it comes to singing about God and faith in beliveing in him. Dawn the lead singer has such a powerful voice. I love the fact that they also have a female bass player who is a back up vocalist, but her skills on the bass would marvel any of the great bassist out there. I have heard there message and seen them live and they will blow you away with thier talents as a band and a message of hope and faith and the love of the lord jesus christ. I would HIGHLEY RECOMEND to any teens and parents and rockers out there. This is the second album of theirs that I've purchased and I must say, they've definitely raised the bar for themselves, reached it, and blown past it. I found this band in 2008 and fell in love with their sound in Unbreakable. The stand out quality of this album is the group's reconciliation of some of the most inspirational and enhancing lyrics I've heard from any group in years with current rock style. 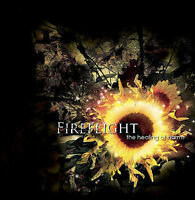 Fireflight continues to evolve their sound, flexing their ability to move at a variety of tempos and keys. For Those Who Wait promises to give you plenty to listen to and think about afterwards without even noticing. In short, worth the buy. 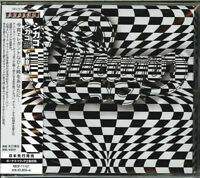 This CD is wonderful! I have listened to it over and over again and it never gets old. As usual Fireflight has an excellent lead vocalist who's voice is beautiful. If you are looking for an encouraging and empowering CD to give you that extra push to get though a tough time or remind you that you are going to make it, this is it. Great cd from a really awesome group. Strong vocals backed up by strong instrumental talet. the words of the songs make sence to many people in different walks of life, going through trials..